Manchester 765 to Beamish – The Return! Back in 2011, Manchester 765 spent a very successful month on loan at Beamish, primarily for operation at the Great North Steam Fair of that year, as it made its way back to its usual home tramway at Heaton Park from Blackpool (via the rather picturesque route it must be said!). And now some eight years later 765 is to head back to Beamish; this time for a slightly longer stay where the chance will also be taken for some maintenance work to be undertaken on the tram. It is planned that 765 will make the journey across from Manchester to Beamish either at the end of this month or start of February and the maintenance work will then take place. 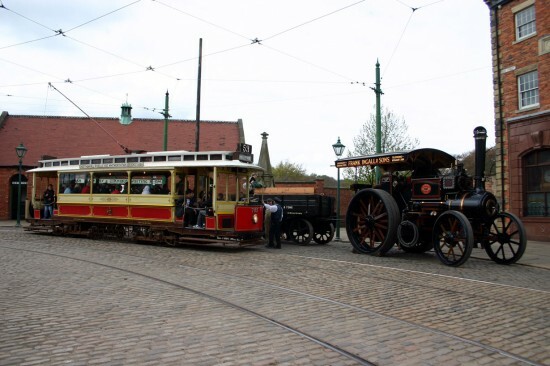 The tram is then scheduled to start operating at the Great North Steam Fair (which takes place between 11th and 14th April) and should then be available for service at most weekends until late June. The news of this loan – and the associated work due to take place on 765 whilst there – once again shows the co-operation that exists between heritage tramways in the UK and the deal will be mutually beneficial for both parties. 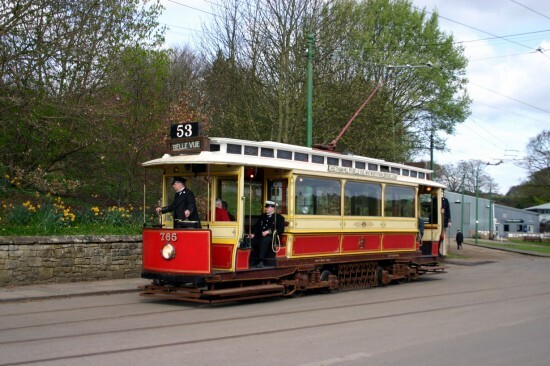 For Heaton Park they will get some maintenance work completed on the tram whilst for Beamish it will help to booster their operating tram fleet for the first part of the year with a tram that is sure to be popular with visitors once again. More coverage on 765 and its holiday to Beamish will follow as and when it happens! On its previous visit to Beamish Manchester 765 is seen just leaving the depot on 14th April 2011. This entry was posted in Beamish Tramway, Heaton Park Tramway. Bookmark the permalink.